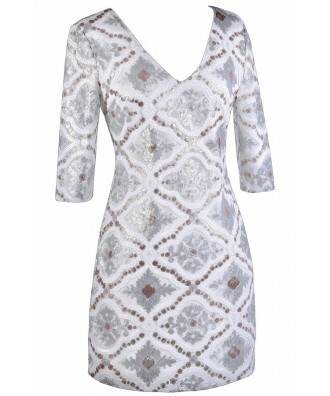 You have added Frost Bite Embellished Sequin Party Dress in Ivory/Silver into shopping cart. Miniature multi-colored sequins adorn this gorgeous sparkly sheath dress. The Frost Bite Embellished Sequin Party Dress is fully lined and made of a mesh fabric with a pattern of sequins throughout. It has a V neckline, half sleeves, and a fitted sheath cut. An open back cutout and exposed back zipper complete this dress. The Frost Bite Embellished Sequin Party Dress is perfect for a night out with friends. Pair it with pumps or strappy heels and a clutch. This would make a cute rehearsal dinner dress for a bride--or wear it out for a bachelorette party and dance the night away! Details: Fully lined except at sleeves. Exposed back zipper. 100% polyester. Lining: 100% polyester. Dry clean only. Small measurements: Length from top of shoulder to hemline: 33". Bust: 30". 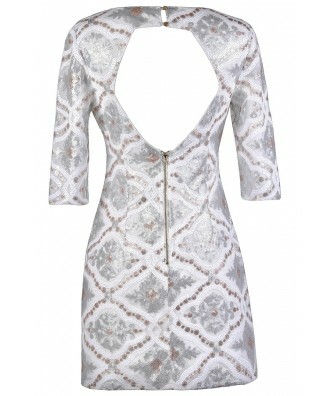 You have added Frost Bite Embellished Sequin Party Dress in Ivory/Silver into Wishlist. 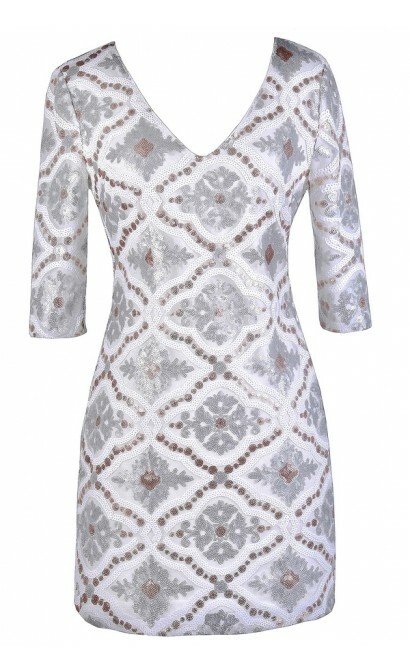 You have added Frost Bite Embellished Sequin Party Dress in Ivory/Silver for Stock Notification. 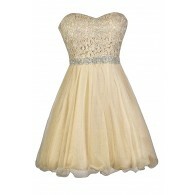 You have set Frost Bite Embellished Sequin Party Dress in Ivory/Silver as a loved product. 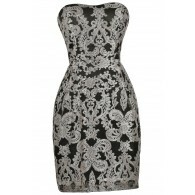 You have removed Frost Bite Embellished Sequin Party Dress in Ivory/Silver as a loved product.